The Radisson Collection Royal Hotel (previously known as the Royal Hotel) at Hammerichsgade in Copenhagen. 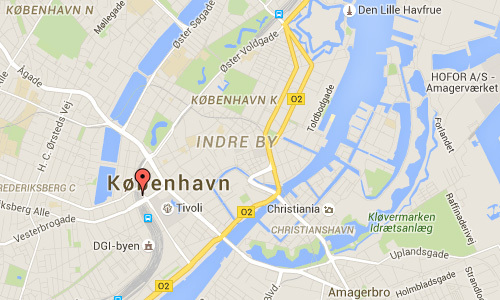 It is located in the heart of the city, in the Vesterbro district, close to Tivoli and the central station. 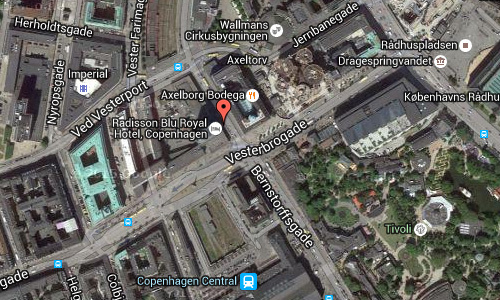 On a road island outside the hotel is the “Freedom Statue”, commemorating the abolition of serfdom in Denmark. With stunning architecture designed by Danish architect Arne Jacobsen, the Radisson Blu Royal Hotel, Copenhagen is one of the premier places to stay while visiting Denmark’s capital city. Copenhagen guests marvel at the hotel’s spiral staircase and reflective façade, complimented by sleek, modern furnishings and decor throughout the building. A total of 260 rooms and suites boasts striking details and thoughtful amenities like Free high-speed, wireless Internet access, coffee and tea provisions, and 24-hour room service. Dine in style at the Alberto K, our 20th-floor restaurant that overlooks the beautiful city, or stop in to the Café Royal for a more relaxed meal. Our exceptional fitness center includes dry and steam saunas and massage services. Meeting facilities are also available for up to 300 guests for a variety of events. 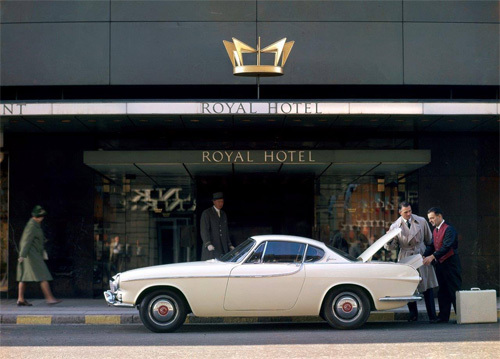 The Radisson Blu Royal Hotel is a historic hotel in Copenhagen, that was designed by Danish architect and designer Arne Jacobsen for the airline Scandinavian Airlines System (SAS) between 1956 and 1960. 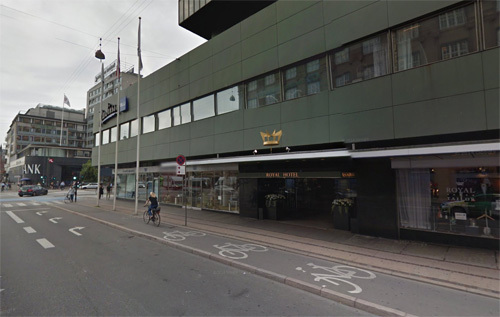 Built as the SAS Royal Hotel, the hotel was renamed the Radisson SAS Royal Hotel in 1994, when SAS bought a share in the foreign division of Radisson hotels. 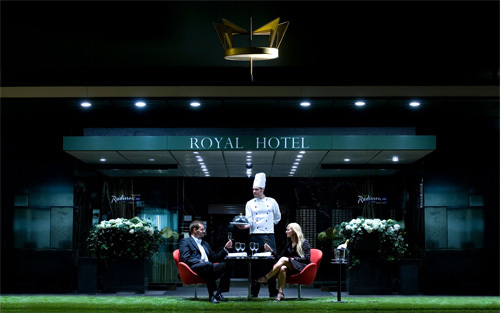 When SAS sold their share in 2009, it was renamed the Radisson Blu Royal Hotel, its current name. 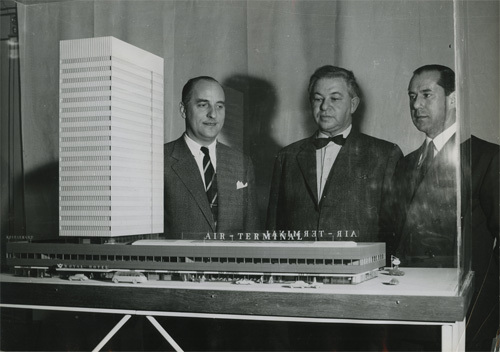 At its completion the hotel was the largest in Denmark, at 69.60 meters in height, the first skyscraper in Copenhagen until 1969 and at the same time the tallest building in Denmark. In 2009, it was the seventh highest tower in Denmark. 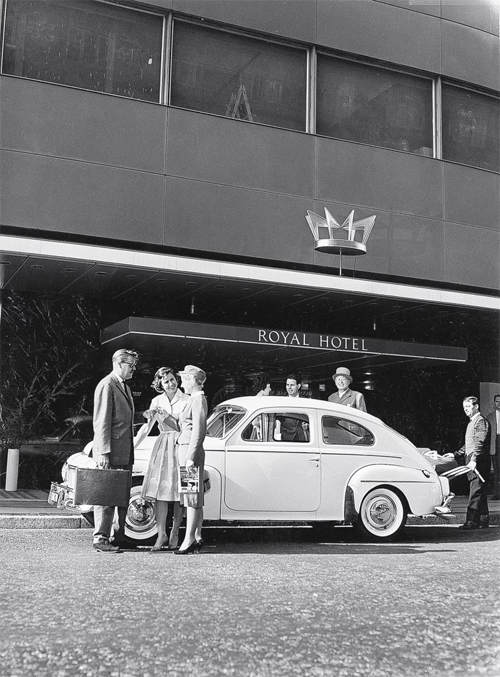 The entire hotel – from the exterior façade through to the stainless-steel cutlery used in the restaurant and the Swan and Egg chairs gracing the lobby – was designed by famous Danish architect, Arne Jacobsen. 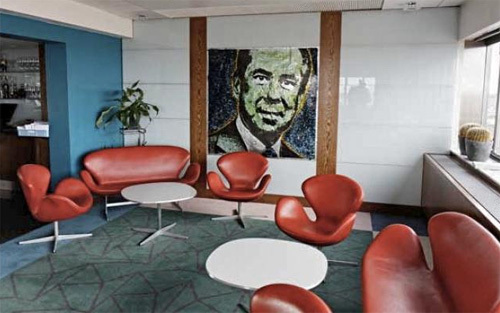 Since most of his work has been replaced by corporate standard fabrics and furniture, the hotel is referred to as Jacobsens’ Lost Gesamtkunstwerk. Only a single room has been kept in the original design. It has all of the original, green furniture and the wood panels on the wall. This room, with the number 606, is still available for booking. Shades of green dominate the entire design. Jacobsen, who was also working as a landscape architect 1955-1960, pursued a “modern garden” theme. He implemented this theme using green textiles and furniture combined with “organic shapes” and rigid geometric forms. 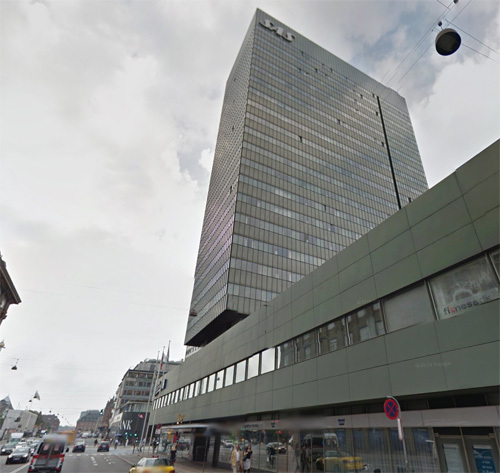 The structure is twenty stories high and a defining characteristic of Copenhagen’s skyline. The structure was inspired by New York Park Avenue structures, namely Skidmore, Owings and Merrill’s Lever House. The building’s sense of lightness emanates from its Lever House-inspired form with a two-story base supporting its lofty “punch card” tower. The reinforced concrete frame structure erected in the tower has a curtain wall of aluminum profiles and transparent green and gray anodized glass. The windows can be opened to the inside stories in all. The horizontal distance between the aluminum profiles is 60 cm. Vertical take turns green glass followed by 168 cm 120 cm window is installed. The curtain wall construction Jacobsen at the three-story City Hall was first used in 1955 Rødovre Denmark. The hotel façade differs only from the City Hall by the light green colour of the intermediate elements and some slightly different proportions. More information on www.radissonblu.com, projects.vanartgallery.bc.ca and en.wikipedia.org.